This week, we want to report on two events that happened this month in Columbus. Both focused on workers from a different perspective. 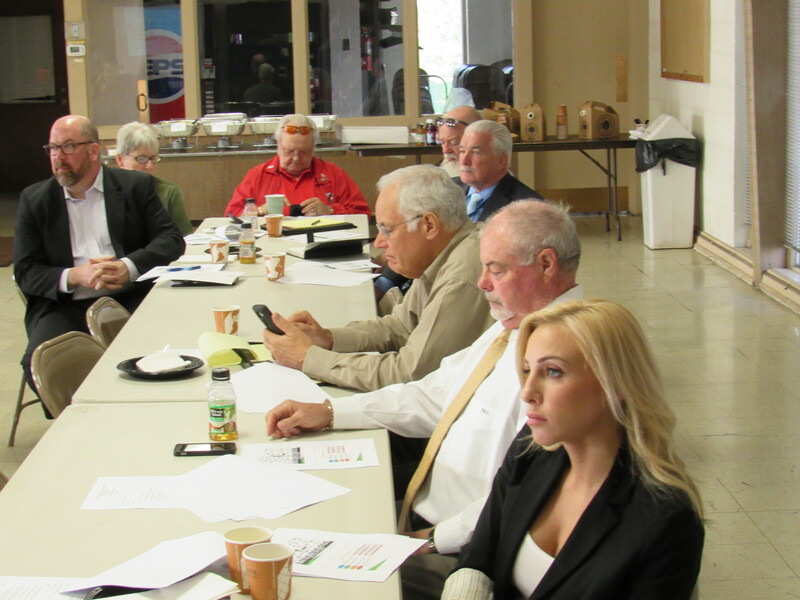 On May 2 CALMC held our regular membership meeting. 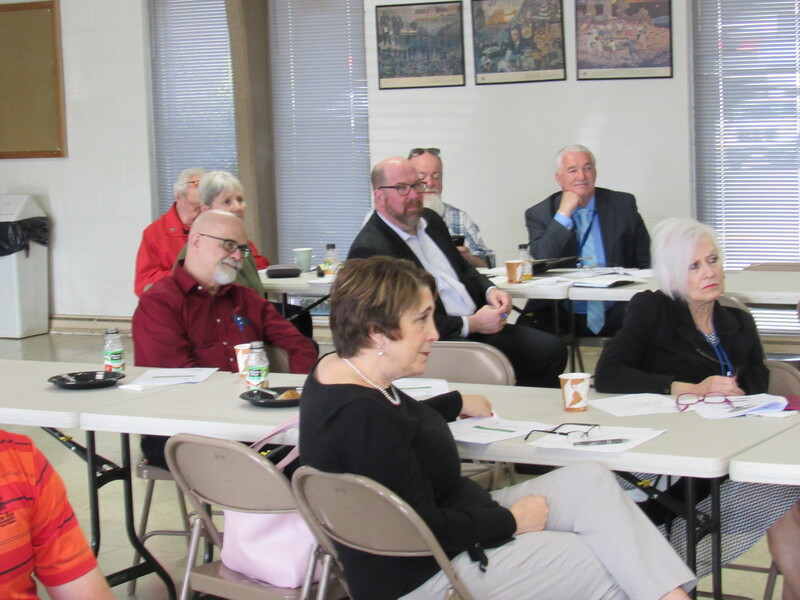 Our audience of management leaders, union officials and members, neutrals, and other interested people enjoyed breakfast and networking with each other, along with the opportunity to hear a presentation on difficulty in finding skilled employees in Central Ohio. 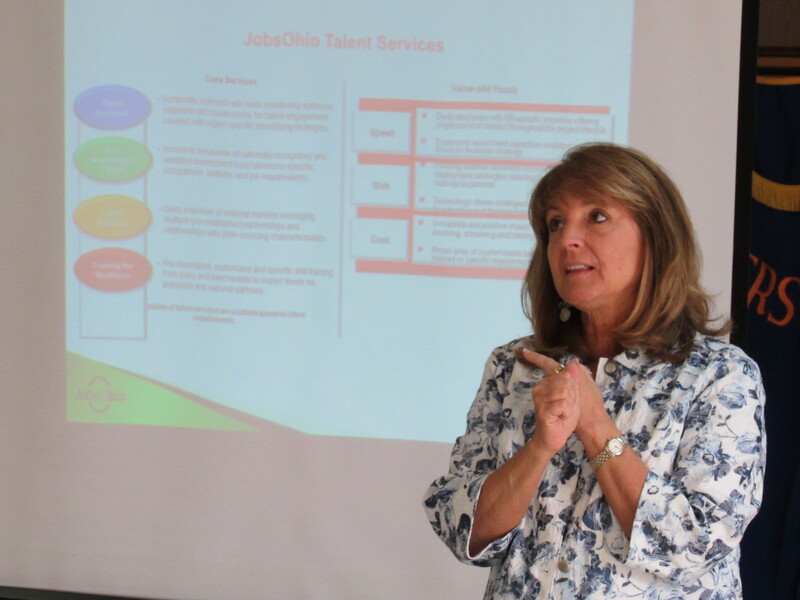 Cheryl Hay, the Director of Workforce Development for JobsOhio, described some of the ways they are helping new and existing employers find the kind of workers they need. JobsOhio is a not-for-profit organization established by Governor Kasich to replace to role originally played by the Department of Development in recruiting new employers to Ohio. Cheryl began by contrasting the ways employees used to find jobs with the process in use today. Employers who previously advertised in newspapers or relied on word-of-mouth today need to be more actively involved in the recruitment process. This includes the reliance on technology to find workers. Cheryl mentioned some of the methods being used by JobsOhio to get the most from the use of information systems in finding employees. She mentioned the use of social media, noting the type of job determined which platforms worked best. For example, if candidates are needed for jobs involving coding, Twitter is the best way to reach them. On the other hand, some management positions are best filled using LinkedIn, while other positions can be found with Facebook. Other issues required a more complex process. 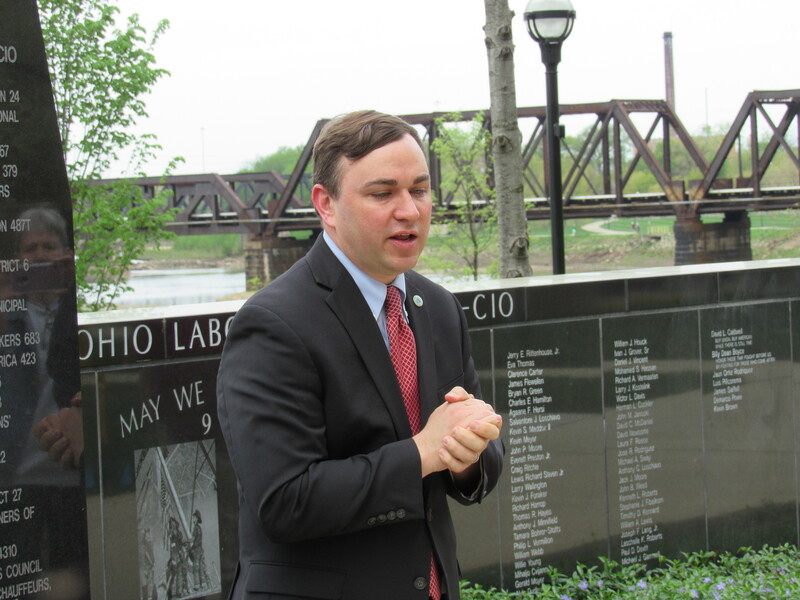 Combattin g the “brain drain” issues of educated college graduates leaving Ohio has proven to be a challenge.JobsOhio is exploring ways to not only keep recent graduates from leaving the state, but also encouraging former Ohio residents to return to the state. Cheryl also discussed to need to begin the recruitment process for some jobs in high schools. They have been encouraging school districts to publicize the needs of new employers in their regions, urging students to build their skills in the areas needed. The y also use apprenticeship and pre-apprenticeship programs to build necessary skills for new employees. A couple of weeks ago we reported on the difficulty employers have getting new employees in this time of low unemployment. In this presentation we heard of proactive methods available to employers in Ohio that help attract new employers to the state. 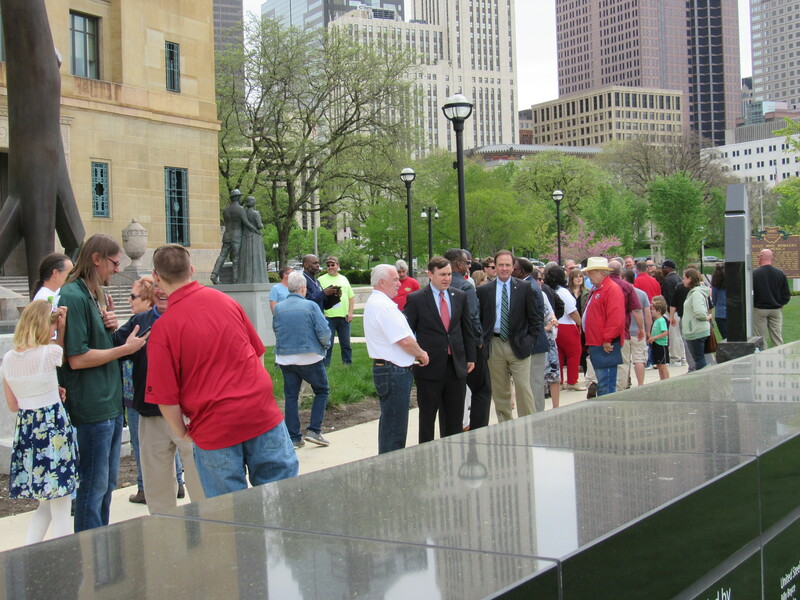 The other event was the rededication of the Workers’ Memorial in Columbus. 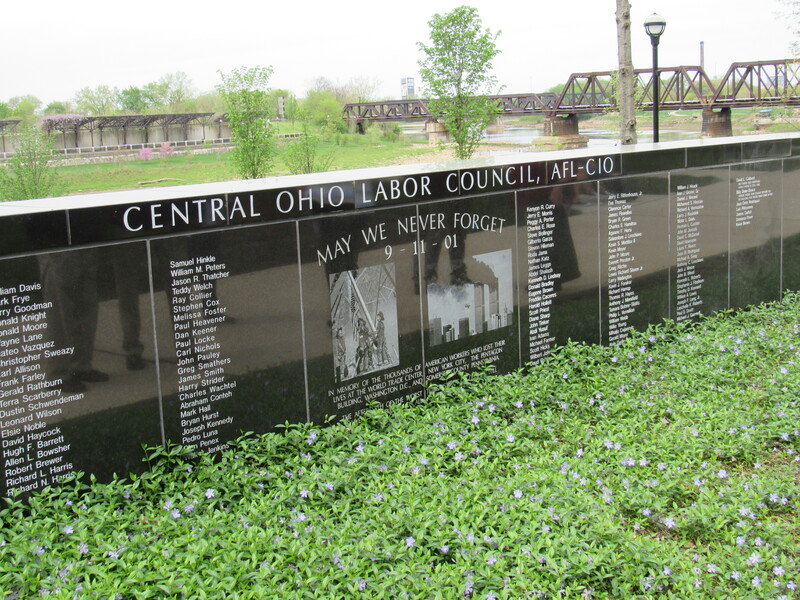 Located in Riverfront Park in downtown Columbus, the memorial remembers workers who lost their lives at work and union leaders who recently passed away. 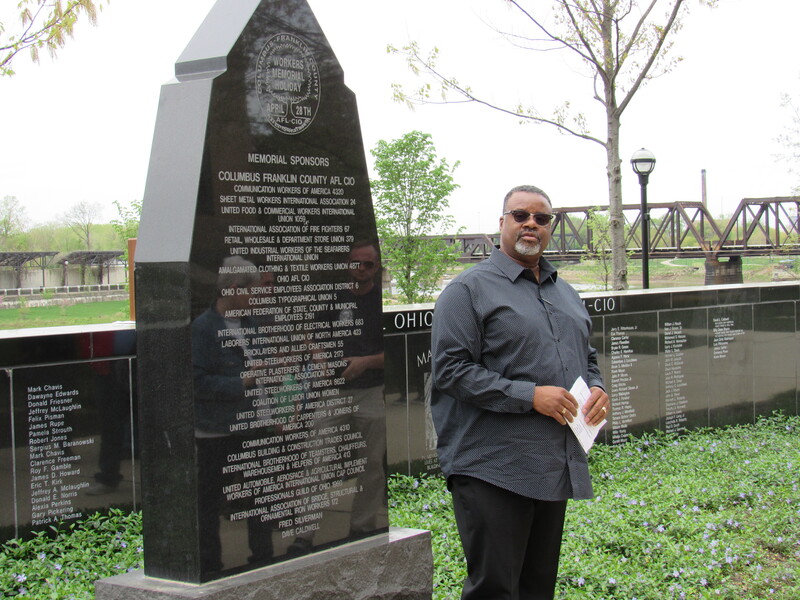 This year, the ceremony recognized four individuals, including Billy Boyce, former Sub-District Director of the United Steelworkers and member of the CALMC Board of Trustees. 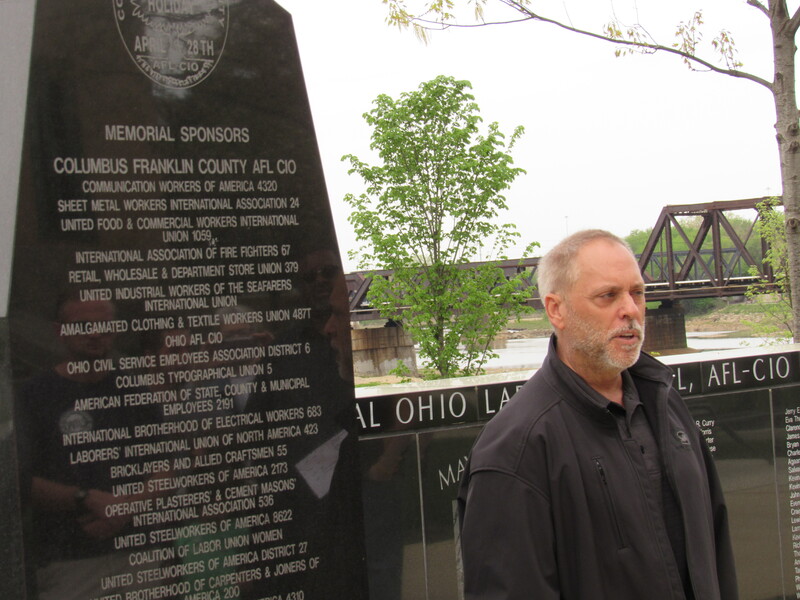 Speakers included Theo James, President of the Central Ohio Labor Council, AFL-CIO, Walt Workman, Executive Director of the Labor Council, Dr. Ned Pettus, Jr., City of Columbus Safety Director, and Michael Stinziano, member of the Columbus City Council. Each highlighted the importance of safe workplaces and the hope that next year there would be no names to add to the wall. It was great to see the number of union members, public officials, and others who gathered to pay their respects to those we have lost. It was a moving ceremony in a beautiful setting. We hope you will have an opportunity to visit the Memorial. City Council Member Mike Stinziano speaks about the importance of worker safety. 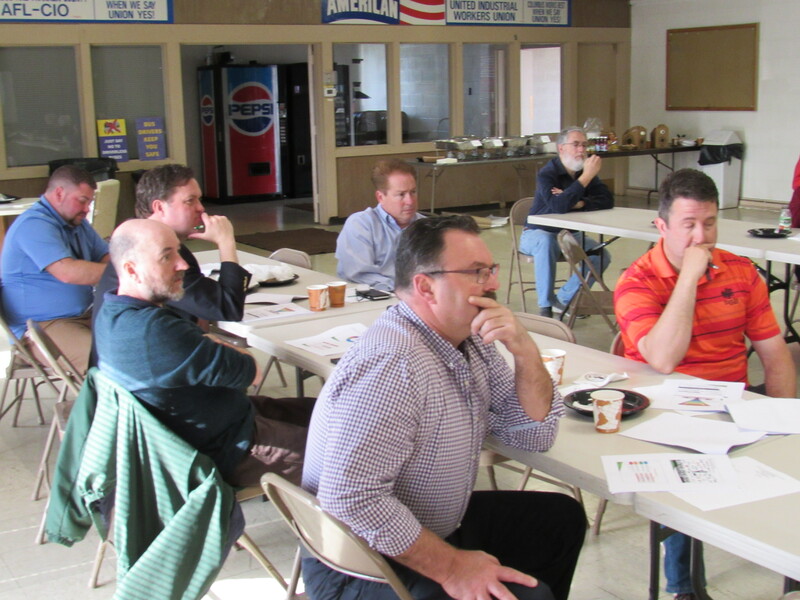 To see more pictures of our Membership Meeting and the Memorial Ceremony, take a look at our Facebook page. This entry was posted in CALMC, Columbus Area Labor-Management Committee, Employee Involvement, Workplace Health and Safety and tagged CALMC, Columbus Area Labor-Management Committee, workplace safety. Bookmark the permalink.